Football season may be our bread and butter, and the pro basketball playoffs are just around the corner, but the 2016 MLB season has just begun! Each spring brings with it a renewed sense of optimism for fans all over the league. There are already way-too-early predictions as to which team will win it all this year, so we thought it’d be fun to put together a few predictions of our own for this season. Sure, some of them are bold and a bit unrealistic, but that’s the fun of it! Trevor Story will hit 35+ home runs. Just a few games into the season, the Colorado Rockies rookie shortstop has already smacked four of them. 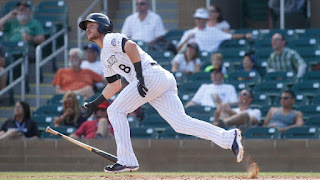 We don’t think he’ll come close to Mark McGwire’s ridiculous rookie record of 49, but he’s got a lot of pop in his bat and he’ll soon have Rockies fans saying, “Tulo-who?” as they watch a new generation of slugging shortstop crush balls on Blake Street. Jake Arrieta will repeat as NL Cy Young Award winner. This one is probably a bit more unlikely considering the stiff competition he’s bound to have from the likes of Clayton Kershaw, but Jake picked right back up where he left off by starting 2016 with a shutout of the Angels. How he handles the always-tough NL Central will go a long way in determining whether or not we’re right in this prediction. Back up prediction: he’ll be a Cy Young top 3 vote-getter. There will be five no-hitters thrown this season. We won’t go so far as to say who will throw them. A lot of that comes down to luck and execution. With the way hitters are swinging more freely these days and the influx of young hitters in the league that still need to hone their craft when it comes to pitch selection, it’s not out of the question that five pitchers will make all the right throws on a given night. Justin Verlander already took a no-hitter into the 6th inning a few days ago, so anything is possible! The 2016 World Series will be: Astros v. Cubs. Both teams finished well ahead of expectations last year and have added complementary pieces in the offseason that make them look like sure things to give headaches to opponents across the league. Both teams have young, dominant pitching and both teams have proven young hitters who’ve barely scratched the surface. Kansas City and the Mets are sure to cause hurdles for these teams, but we think they’ll clear them and come out on top in their respective leagues. 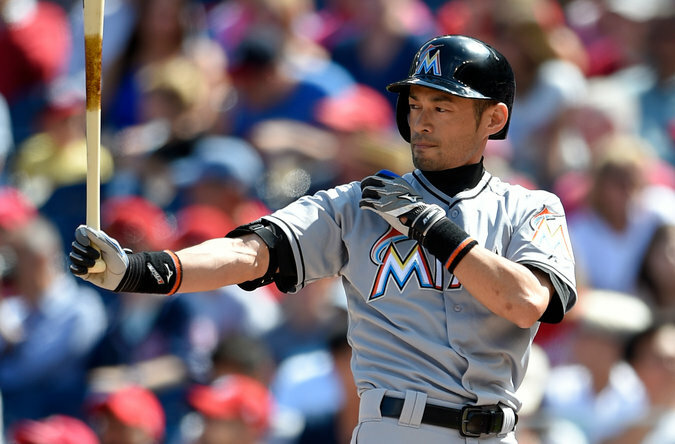 Ichiro Suzuki will reach 3,000 hits. 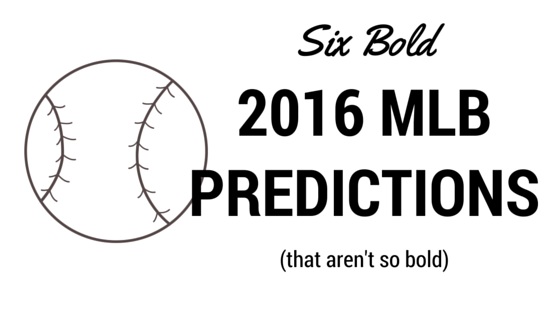 OK, we’re ending our list on a few pretty safe predictions. We’ve got to be able to be right about at least one of these, right? Ichiro may be delegated to pinch hitting duties and the occasional spot start in the outfield, but he’s been an incredibly consistent hitter throughout his career. Even in a limited role, he should have no trouble reaching 3,000 hits in his MLB career. If we’re combining his hits with what he had in Japan, this living legend already has over 4,000 to his name. With the Miami Marlins sure to struggle to garner attendance, look for them to give Ichiro more starts as the season goes along so he gets more chances to reach the milestone. Alex Rodriguez will surpass Babe Ruth on the all-time home run list. Rodriguez is currently at 687 (as of writing this) for his career. With a steady spot in the lineup as a designated hitter, he won’t have any shortage of opportunities to reach #716, which would pass Babe Ruth. He may be a polarizing figure in baseball, but he’s come back from health issues to be pretty productive in his capacity. The MLB season is a long one that’ll be full of ups and downs and power shifts. What are your 2015 MLB predictions? Let us know in the comments below!